Arsene Wenger says Arsenal will not be appealing against Granit Xhaka’s red card in their 3-2 victory over Swansea. The 24-year-old was dismissed after 70 minutes for a challenge on Modou Barrow but despite classing the decision as “a little harsh”, Wenger will not be challenging the decision made by referee Jon Moss. Wenger said: “No (we will not appeal the decision). It looked harsh to me but it was a deliberate foul. Not yet, no. Before, in Germany, he had some [red cards] but I don’t think he’s a dirty player at all. Sometimes there have been some clumsy tackles, because he’s not a natural defender, he’s a guy who likes to play forward. I will speak to him. I think Barrow made a lot of it as well, because he could go on. But the referee saw a bad tackle and you have to respect that. It is what it is, and he has to learn from it. The Gunners made it six Premier League wins in a row, with a brace from Theo Walcott and a goal from birthday boy Mesut Ozil proving enough though Swansea twice pulled within one, through Gylfi Sigurdsson in the first half and Borja Baston in the second. 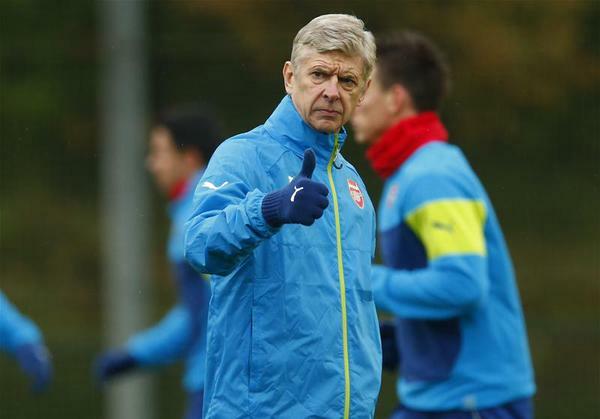 Wenger added: “What looked to be a comfortable afternoon finished in a very uncomfortable way. We just got over the line. “I thought at times we played fantastic football, we lost a bit of our focus and after that, at 3-1, we could have conceded. Walcott’s brace on Saturday made it six goals in five games for the 27-year-old and Wenger believes he is looking much more resilient as a player this season. He said: “He could have had a hat-trick, maybe even four. “He scored two goals, I make that six now which is very encouraging.